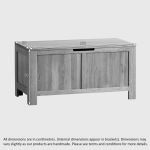 For a simply-designed, 100% oak blanket box, the Oakdale design fits the bill. 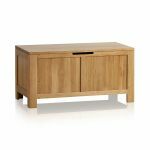 The natural oak is enhanced by the unfussy design. Tame toy tangles in the living room, and sort shoe clutter in the hall. 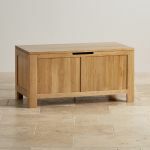 You can admire the beauty of oak grain instead, and keep your home tidy. 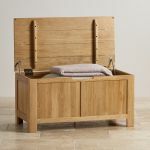 The blanket box could be used at the bottom of the bed to hold extra bedding, and is strong enough to employ as a window seat. 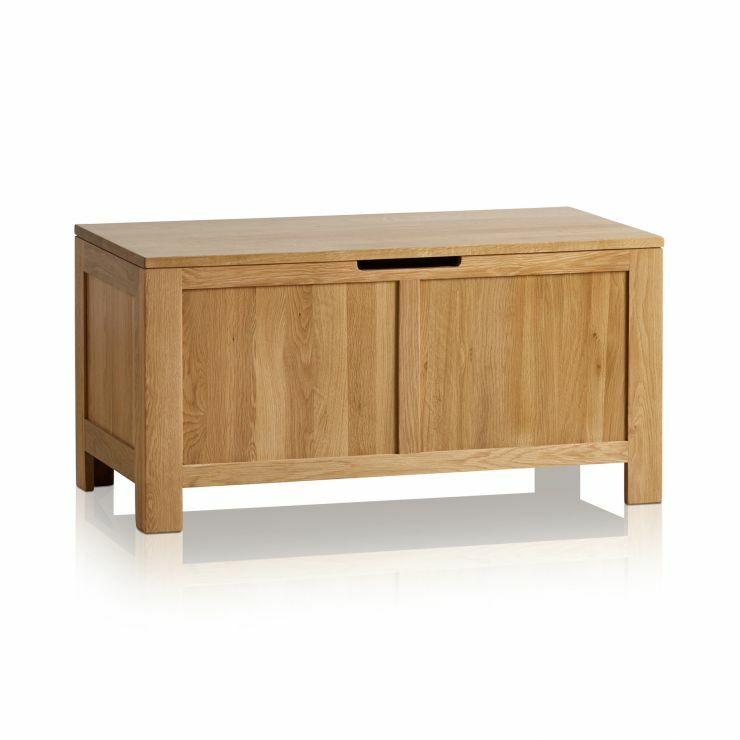 Match with other pieces in the Oakdale range to pull together a minimalist look in your home. With the timeless design and strong construction, it’s a real investment – and all with free delivery, too.